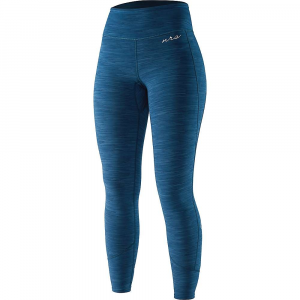 Kokatat Women's WoolCore Pants - The Women's WoolCore Pants by Kokatat are made from super-soft, chlorine-free wool that is grown in New Zealand, and cut and sewn in California. Combining the warmth of wool with the superior moisture wicking, durability and dry time of polyester, one paddling trip in these comfy wool pants and you'll never want to paddle in another baselayer again. Offering flexibility for freedom of movement where it counts, with an incredibly light fabric weight, these durable pants are made of 50% Merino wool and 50% polyester. 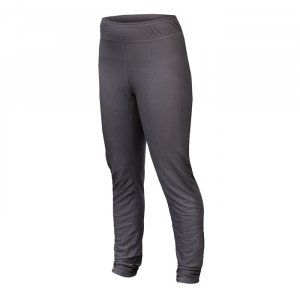 Wear them as a baselayer or alone, for whatever it is you've got planned this weekend, these versatile pants have natural anti-bacterial characteristics. The next time you are spending a blustery day bearing down on the whitewater, thank your lucky stars you have the Kokatat Women's WoolCore Pants. Merino wool is renowned for its natural antimicrobial, moisture wicking, and breathable properties, but it will also keep you warm even when it gets wet, which made it an obvious choice when Kokatat designed the WoolCore Women's Pant. What do you get when you combine super-soft, chlorine-free Merino wool with durable, quick-drying polyester? Incredible insulation and superior wicking, of course! One paddling trip in the Kokatat Women's WoolCore pants and you'll never want to paddle in another baselayer again. This product will be shipped directly from Kokatat and will leave their warehouse in 1-2 business days. Eligible for UPS ground shipping only.. . . . 50% Merino wool / 50% polyester blend offers superior warmth, wicking, durability, and dry time. Merino wool has natural anti-bacterial characteristics which help to prevent odors. Wool/polyester blend keeps you comfortable over a broad range of temperatures. Made using free-range, non-mulesed wool grown in New Zealand. Machine wash with warm water and hang dry; wash before first use to remove any dye residues. CLOSEOUTS . Kokatat Woolcore bottoms are made of Polartecand#174; Power Dryand#174; fabric that combines the warmth of wool with the durability and quick-drying performance of polyester. Wear them in the boat under splash pants or on land under ski or hiking pants. Available Colors: HEATHER GREY. Sizes: S, M, L, XL. The women's Kokatat WoolCore base layer paddling pants use wool to keep you comfortable under a dry suit or splash pants. Polartec(R) Power Dry(R) lightweight wool and recycled polyester blend wicks moisture and helps regulate body temperature over a wide range of conditions. Naturally antibacterial wool helps resist odors. Wool is harvested from Colorado, Utah or Montana and is processed without chlorine. 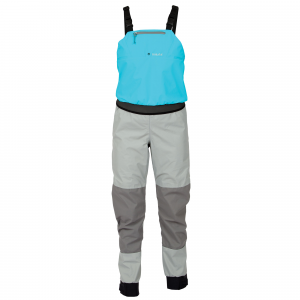 The women's Kokatat WoolCore base layer paddling pants offers a next-to-skin fit.